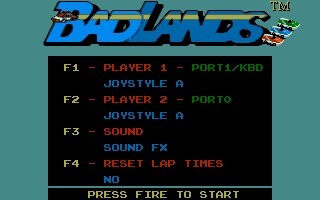 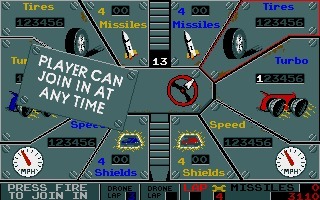 Badlands is an racing arcade created by Atari Games in 1989 and ported to Amiga, Commodore 64, Atari ST and ZX Spectrum by Domark. 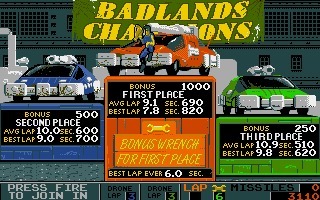 Badlands is an racing arcade created by Atari Games in 1989 and ported to Amiga, Commodore 64, Atari ST and ZX Spectrum by Domark. 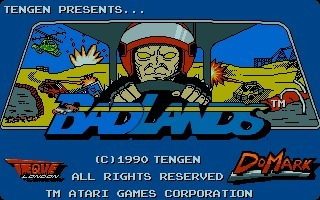 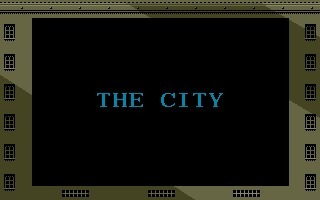 It is the spiritual successor to Super Sprint but with a post-apocalyptic theme. 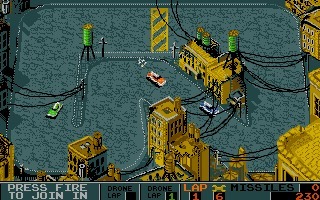 Each car is armed with cannons that can be upgraded spending money in the shops available between levels. 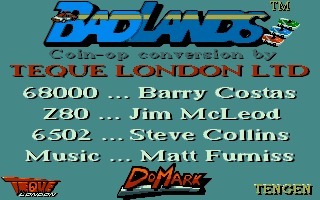 The game was re-released in 2005 for Playstation 2 and Xbox, but if you like cars combat games, you can't miss the original Badlands. 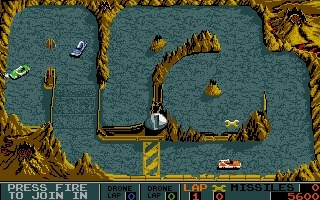 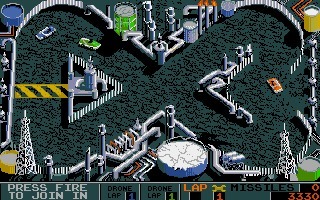 The version provided by GamesNostalgia is the Amiga one.